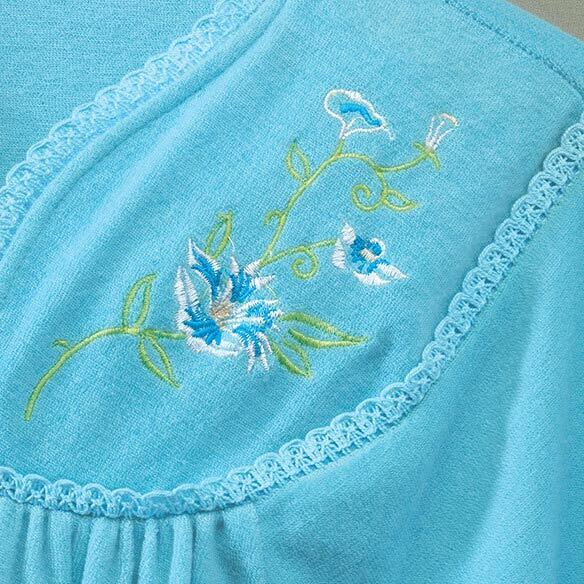 Designed in soft, lightweight rib terry, this rib terry snap-front embroidered gown has all the special details you love. Featuring graceful floral embroidery at the neckline, it's styled with a gently gathered bodice for a feminine look and finished. 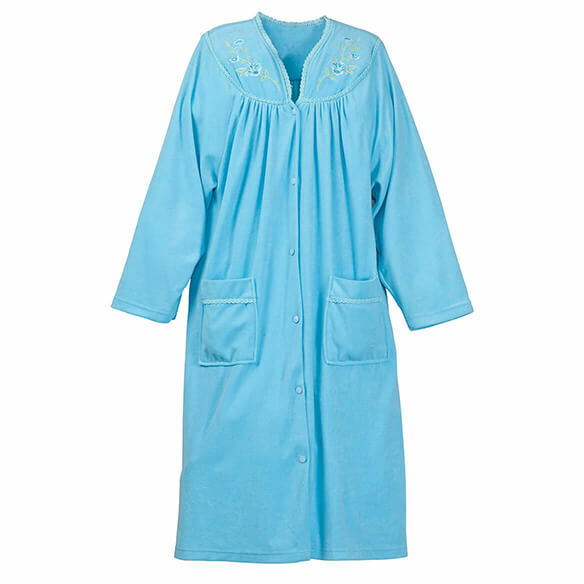 Graced with comfy mid-length sleeves perfect for any season, the easy-wearing women's robe is a timeless classic in a pretty shade of turquoise. Full snap front robe for easy on and off. I like the snap front instead of a zipper. Needed light weight robe with snap front. Because it closes easily in the front. Prefer button and snaps over zipper and long sleeve over short and color is nice. The robe is much like one I already have, with the snap front. The length is just right. what chest sie is a 3x?